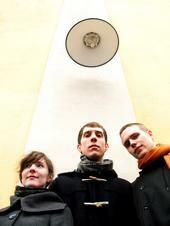 I found this new (new to me, at least) Swedish band, The Morning Paper, on the Skipping Stone Records website today. Pretty nice. Kinda ethereal. I’m looking forward to hearing the rest of their stuff.